Whenever I eat out at a Mediterranean restaurant, I find it hard to not just compose a meal from the appetizer menu. 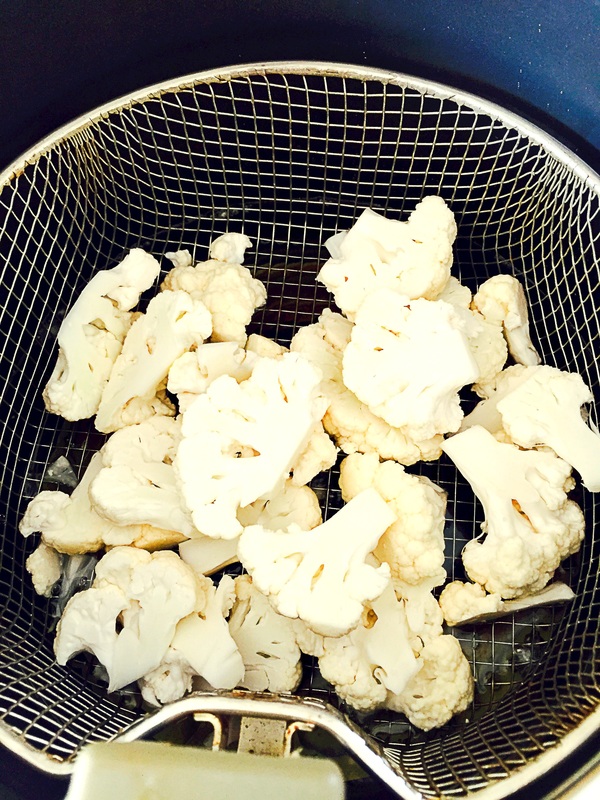 With things like lentil soup, lemon and garlic potatoes, hummus and pita bread, fattoush salad, grape leaves, and fried cauliflower on the appetizer menu, who needs a full entree! I often find myself struggling not to order one of every thing on the appetizer menu. I usually settle upon the potatoes or the fried cauliflower. 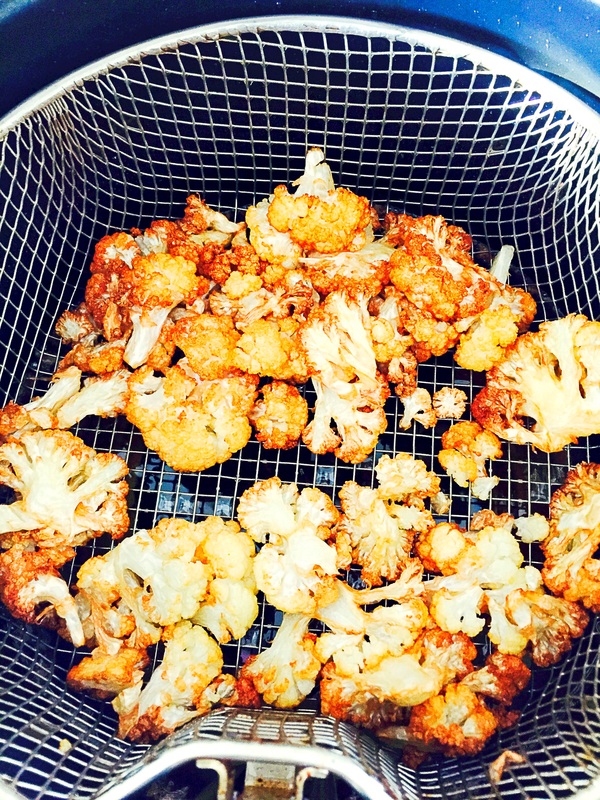 The fried cauliflower is amazingly simple. Unlike most fried things that come dusted in flour or some other type of breaded base, this doesn’t. 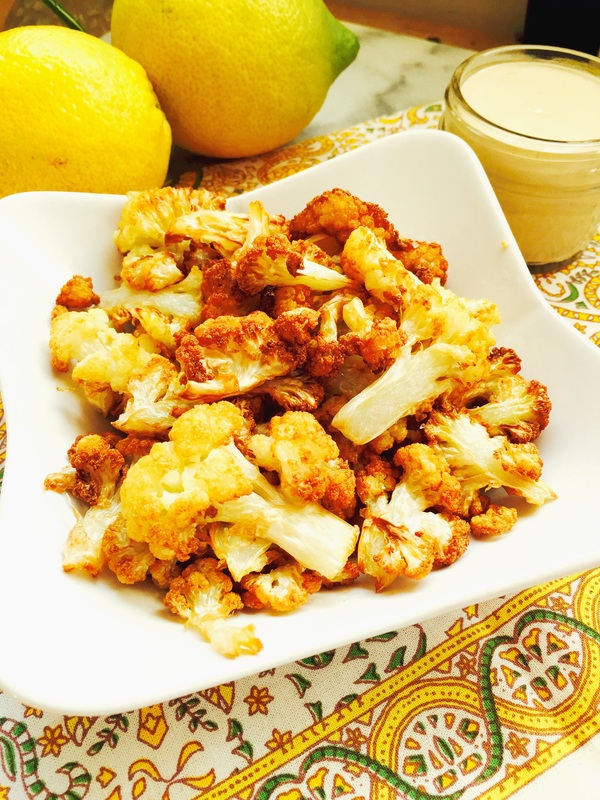 This recipe calls for only one ingredient, cauliflower! 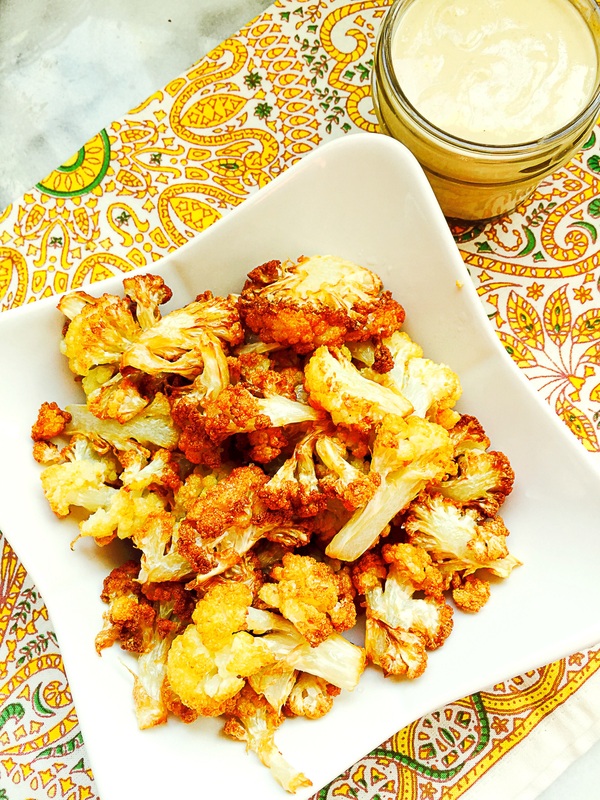 The tahini sauce is great with this, but the cauliflower is pretty amazing on its own. 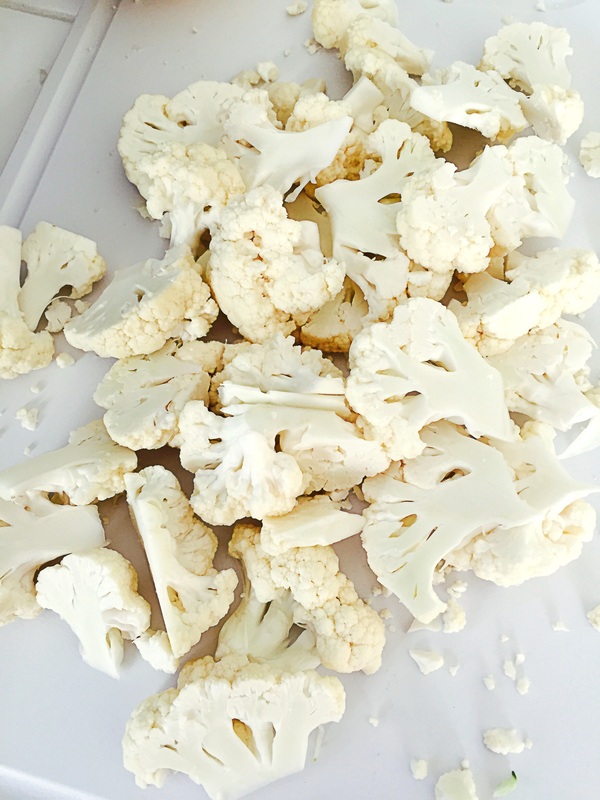 Your kids will love these cauliflower florets, mine did! Directions: Pre-heat the oil to 320F in a deep fryer. 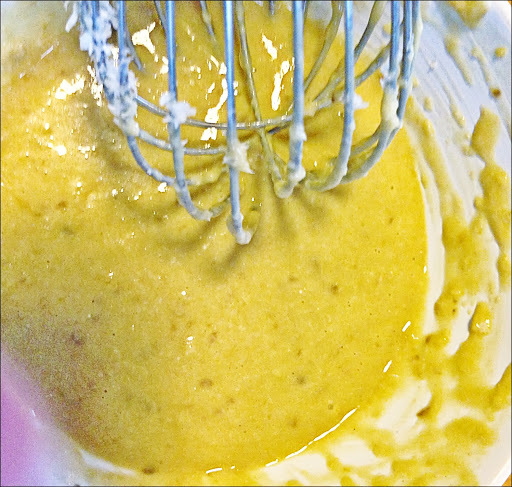 Add ingredients for the tahini sauce to a small bowl and mix until well combined and creamy, then set aside. 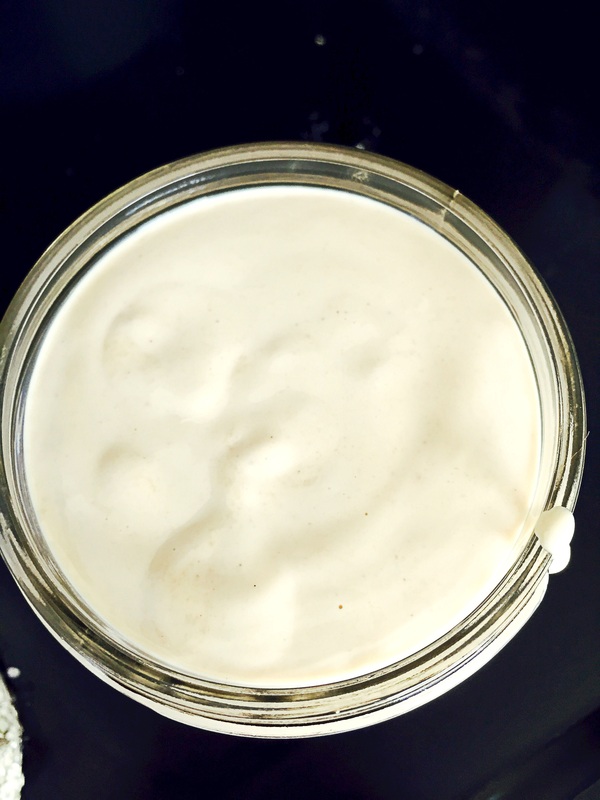 If you want this to be extra creamy, place all ingredients into a food processor or blender and blend until creamy, then transfer to a bowl. 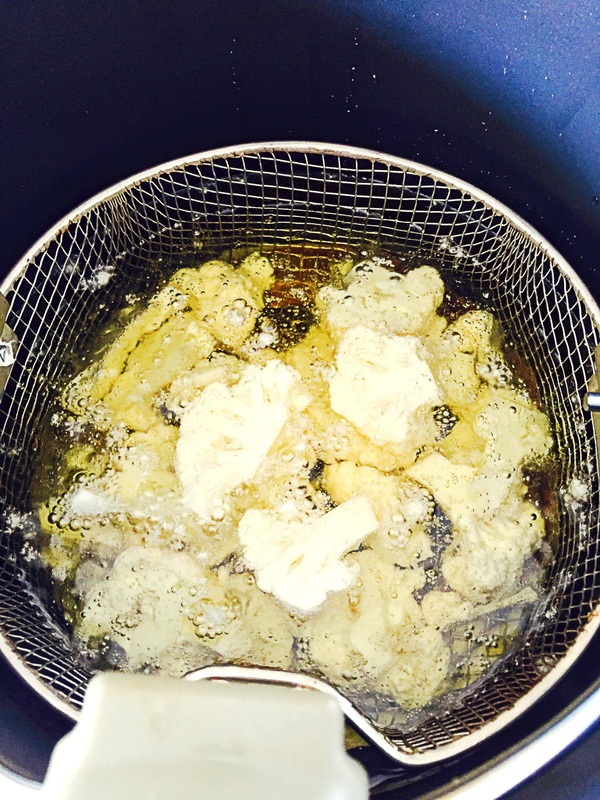 Add the cauliflower florets to the deep fryer. Transfer to a paper towel lined plate, season with sea salt, serve and enjoy! Last weekend I visited a Persian market. The market filled me with all sorts of food inspiration, but it mostly left me with a strong desire to eat lamb. I guessing that desire came from the cooked foods section, which had fresh lamb kabobs and shawarma. The market also housed a rather large meat department, it had lamb in every form, hooves, hearts, livers, basically every part of the lamb that a better cook than I am could possibly want to cook. A far cry from the selection at my local Whole Foods! I feel like I hit the lottery if they have stewed lamb meat once every 4 months. Wouldn’t it be fabulous to be able to walk into your local market and find, um..choices? Like ramps in the spring time, in California–but I digress. Let’s just say, I left the Persian market with market envy. I shop at Whole Foods so often that when I go into a conventional grocery store, I’m always amazed at how inexpensive things are. Haha..call it reverse sticker shock! Thank you Whole Foods! Surprisingly, I did not leave the Persian market with lamb. I did find some great spices, some pomegranate molasses, and a few other great items. I left with my new finds and a mission to cook these lamb chops. 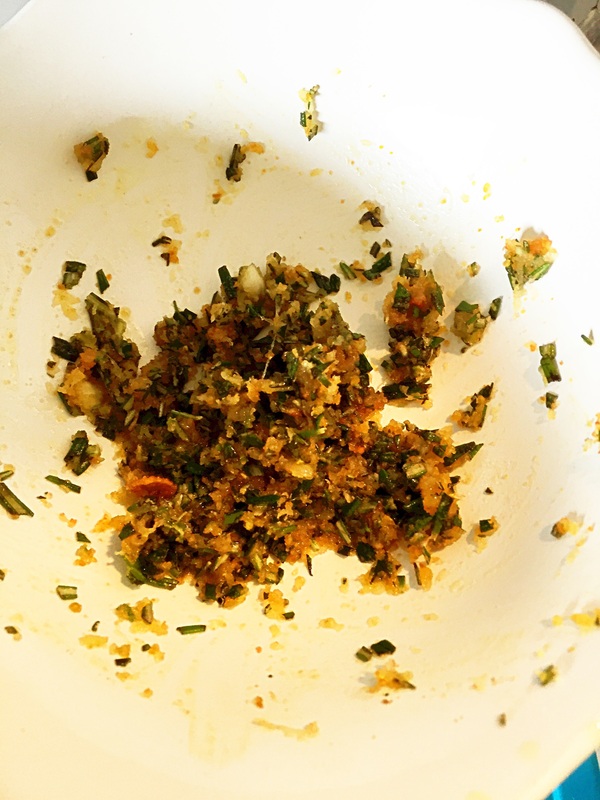 Directions: To a small bowl add garlic, rosemary, lemon zest and oil, mix well. 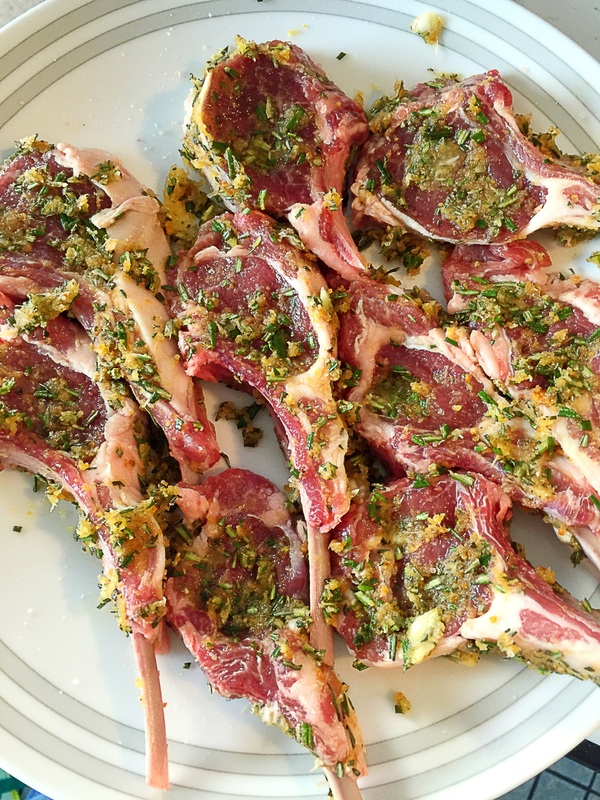 Dry lamb chops, season generously with sea salt. 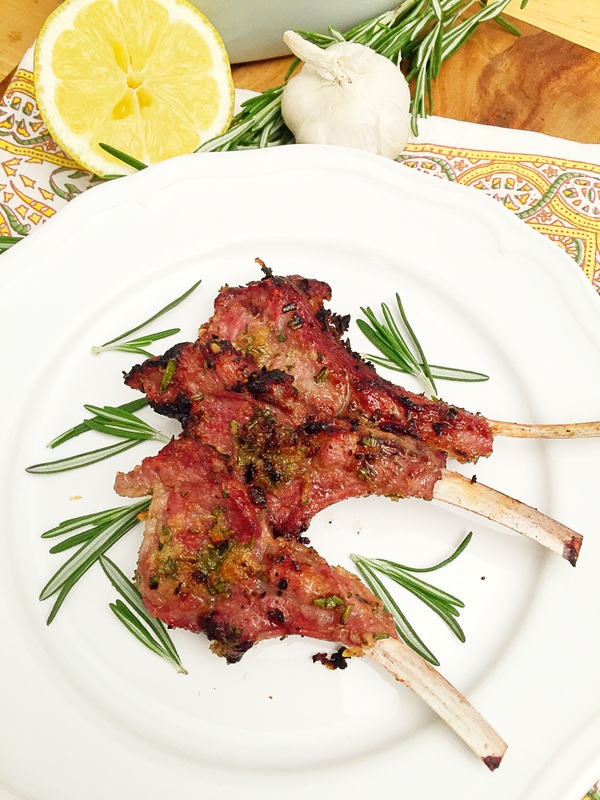 Rub the lamb chops with the herbaceous garlic paste. 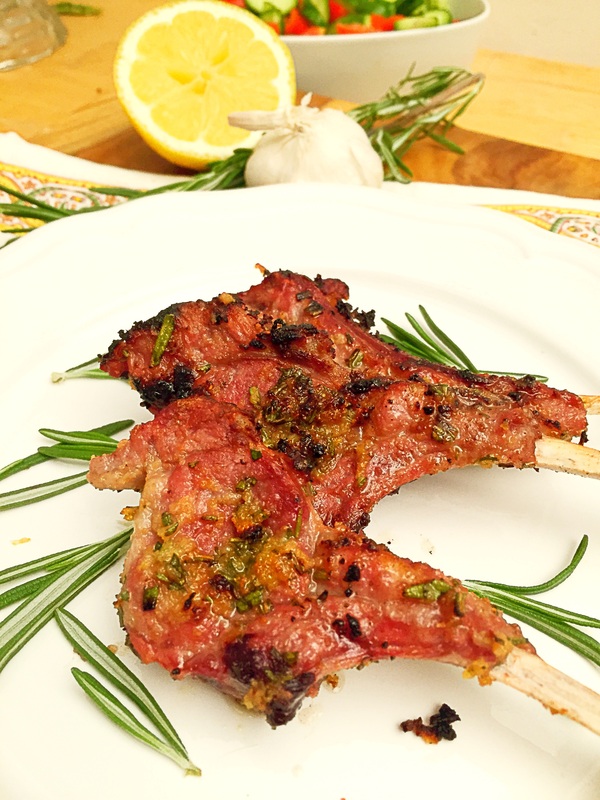 Place lamb chops on a hot grill, and cook for 5-7 minutes on each side, or until lamb chops are cooked to your liking. 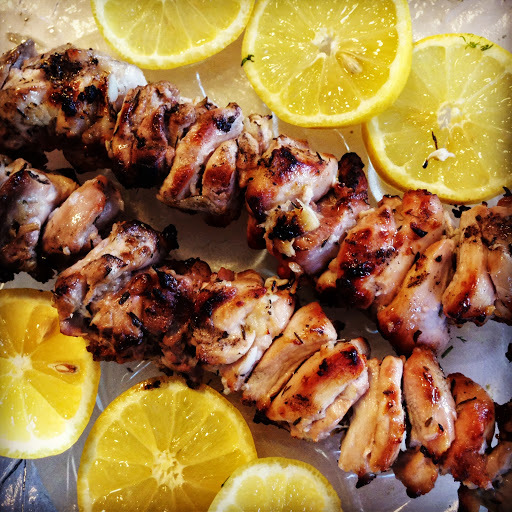 Remove from grill, serve with a fresh squeeze of lemon and enjoy! I love salmon, especially perfectly cooked salmon. 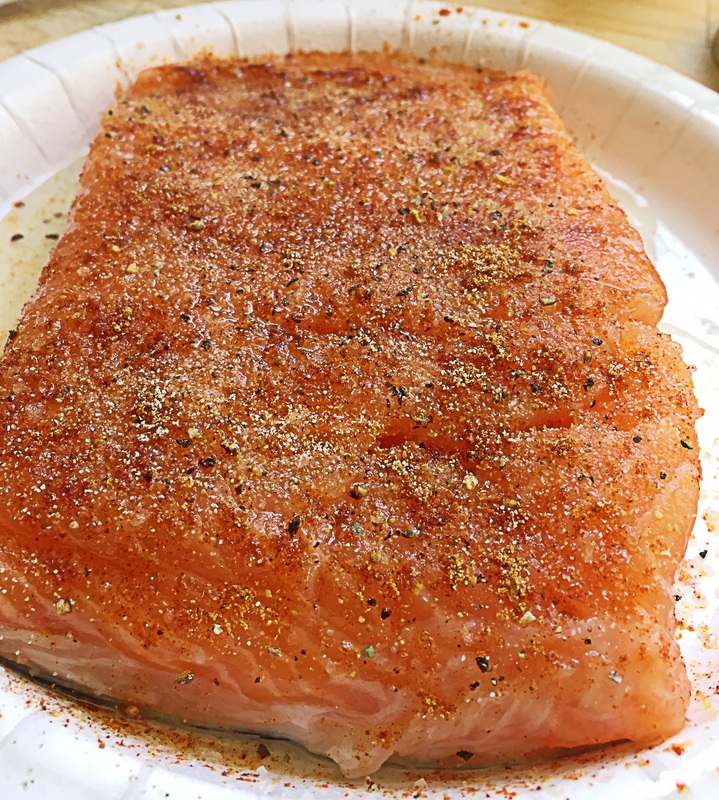 When cooked correctly salmon is moist, tender, and oh so satisfying. Most recipes for salmon include dill, lemon, garlic or some variation of those three ingredients. I’m a big fan of garlic and lemon, but dill is just not a flavor I’m in love with. 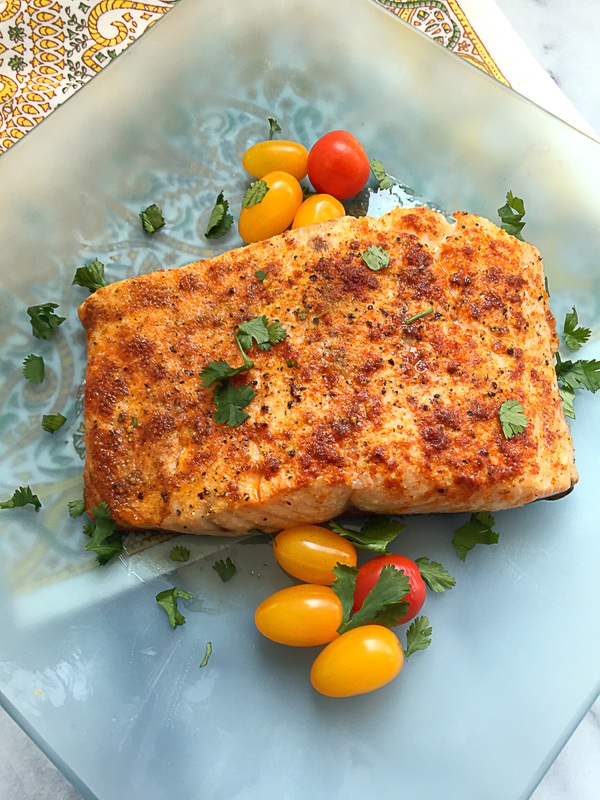 Besides, salmon is not a fragile fish, it can hold up to more bold flavor profiles.This particular salmon recipe is proof of that. Directions: Pre-heat oven to 425F. 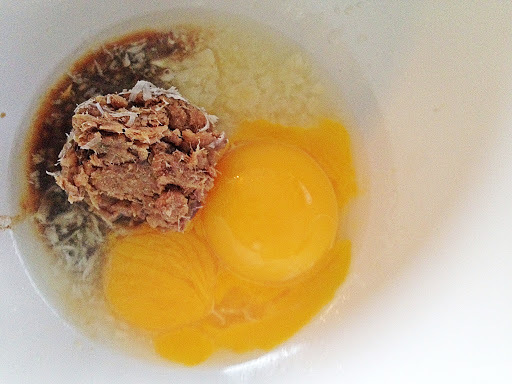 Mix the ingredients for the lemon sauce in a small bowl and set aside. Dry salmon fillet with paper towels, drizzle with oil on both sides, then salt, place on a foil lined bake sheet and set aside. 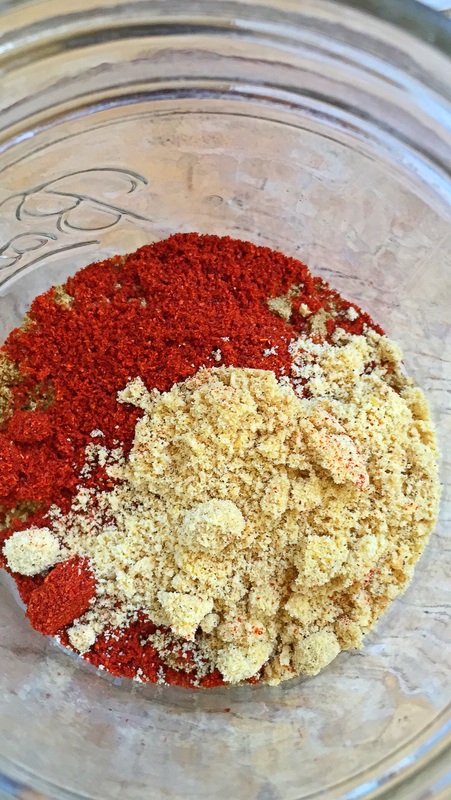 In a small bowl mix together the paprika, garlic, onion, and cumin. 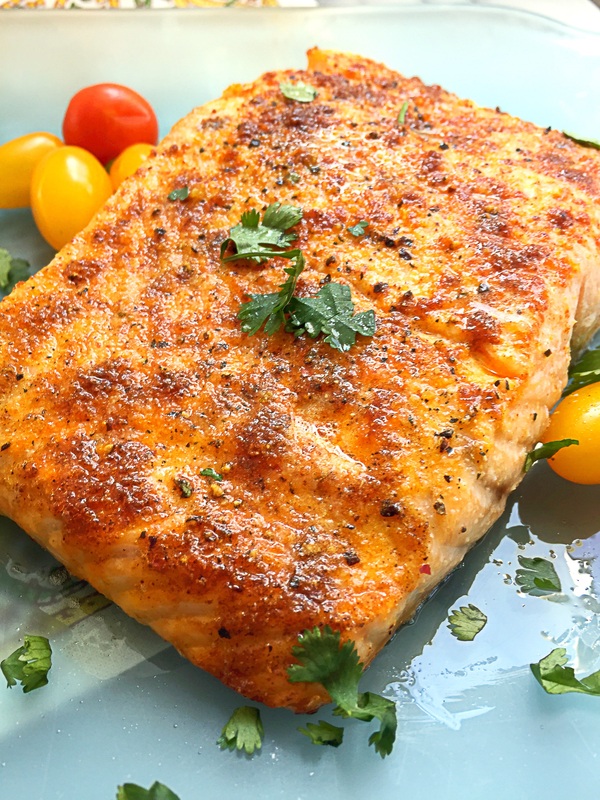 Place the salmon in the oven for 8-10 minutes depending on how thick your fillet is. My fillet was about 1/2 inch thick and it was done in 8 minutes. Remove from oven, drizzle with lemon sauce and enjoy! My latest obsession is salad. 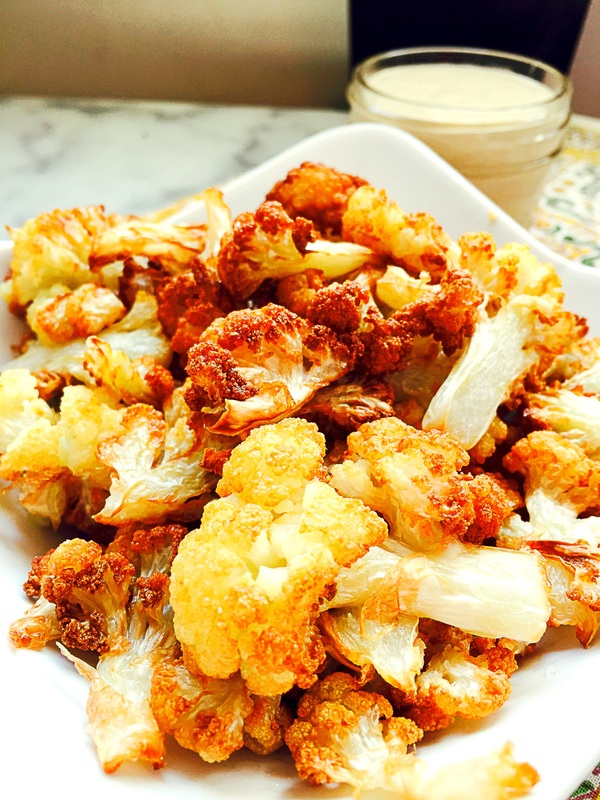 Crispy and crunchy vegetables with a drizzle of oil, and a splash of citrus or vinegar–what’s not to love? Salads are a great way to get in a few servings of fresh vegetables in their raw state. As much as I love salads, they can become a bit boring if you don’t mix things up a bit. 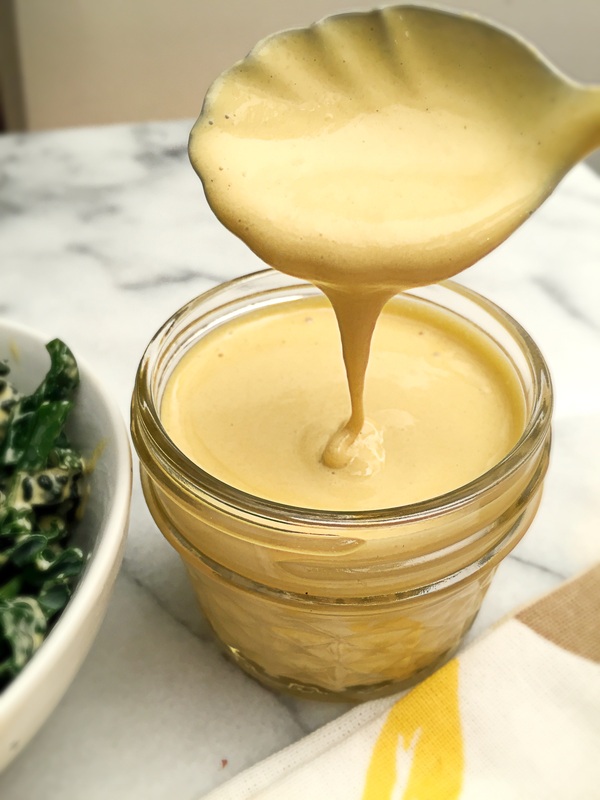 The easiest way to do that is to switch out the vegetables and the dressing. I often make caesar salads with romaine lettuce, but sometimes I switch out the romaine and replace it with baby kale, or lacinto kale. 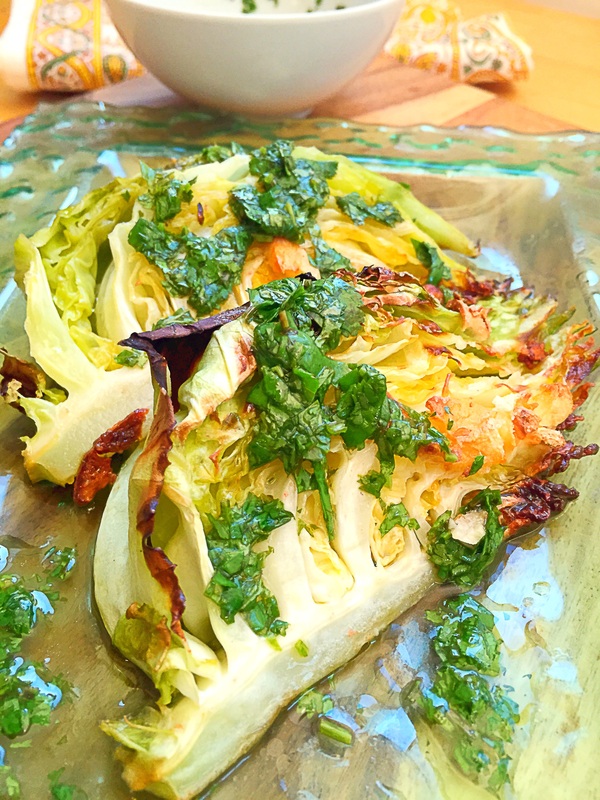 It makes for a hearty salad and an especially delicious twist to the standard caesar salad, we are all used to. 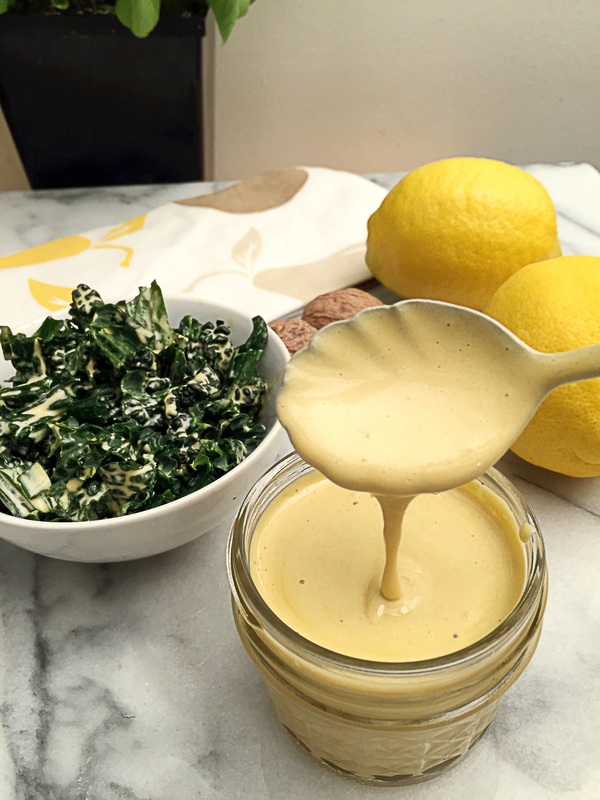 I’ll post the recipe I use for the kale caesar another day, but today, I’m sharing my recipe for my favorite creamy caesar salad dressing. 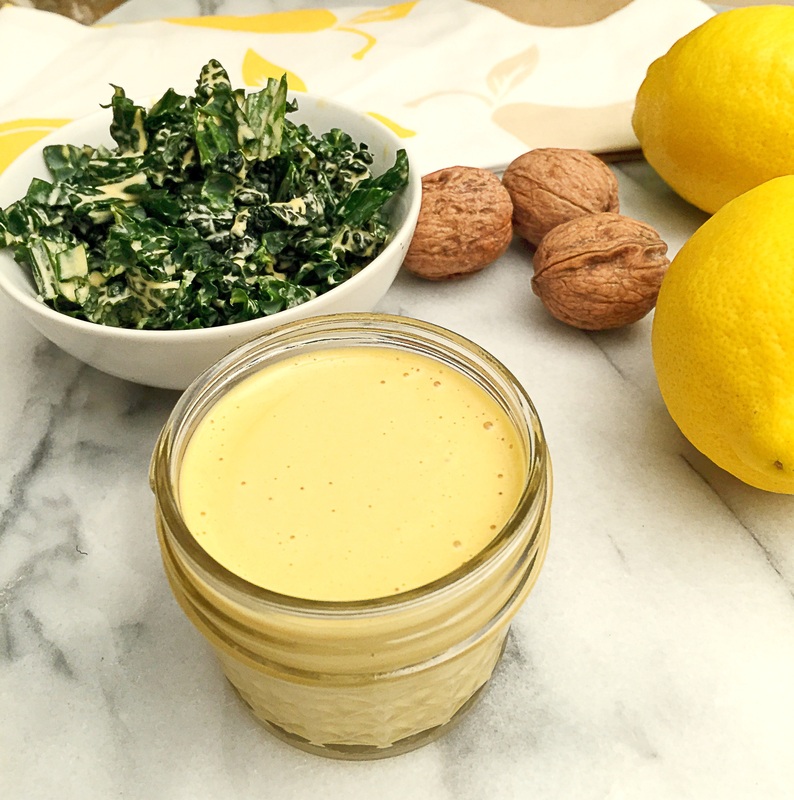 It’s my go to dressing, when I crave a creamy salad dressing. 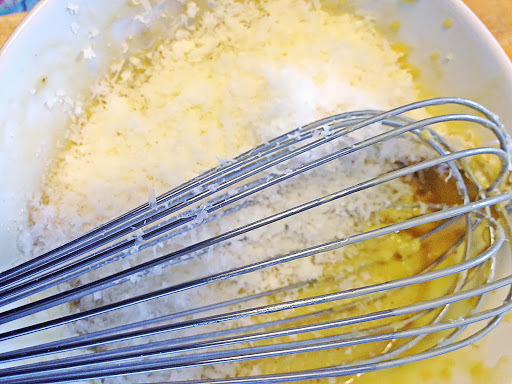 Directions: To a small bowl add the grated garlic and lemon juice, allow to sit for 10 minutes. 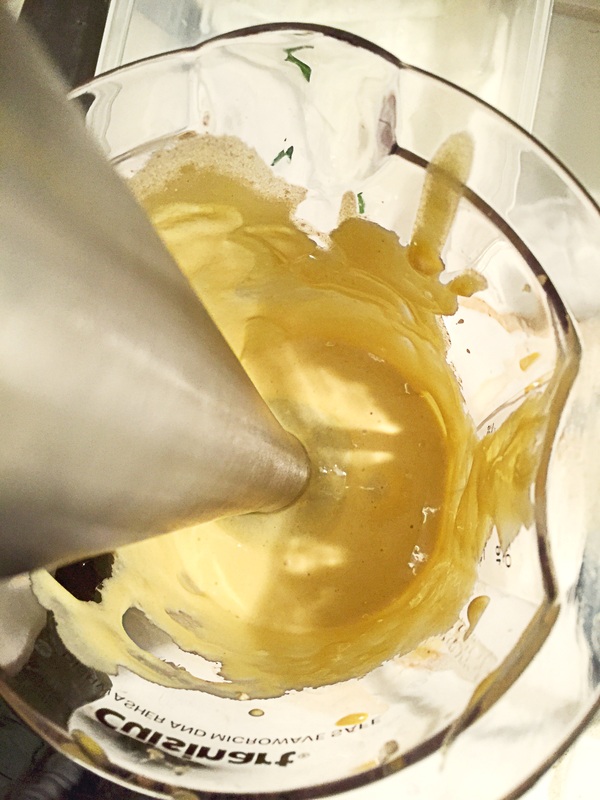 If you have a hand mixer like I do, add the lemon garlic mixture, (after it sits for 10 minutes), and the rest of the ingredients to a bowl and mix until the mixture thickens–about 1-2 minutes. Transfer to an air tight container and chill until ready to use. 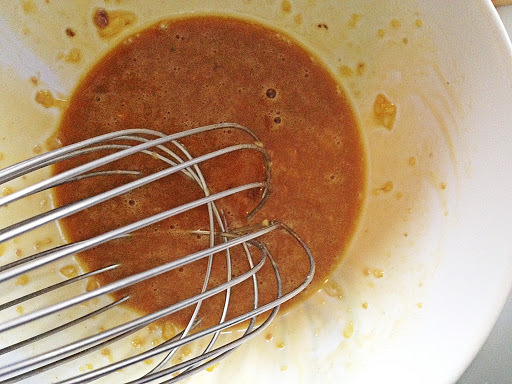 If you don’t have a hand mixer, whisk worcestershire sauce, anchovies, and egg yolks into garlic/lemon juice mixture. One of my husbands favorite side dishes. He is a lover of all things potato, so I’m constantly trying to switch up the way that I cook them. 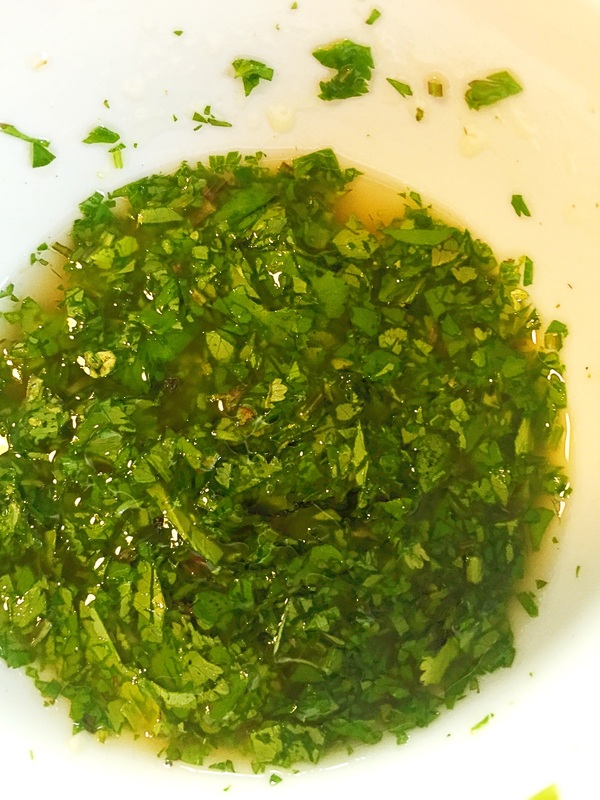 The easiest way for me to do that is to switch up the herbs. In this case fresh is best! 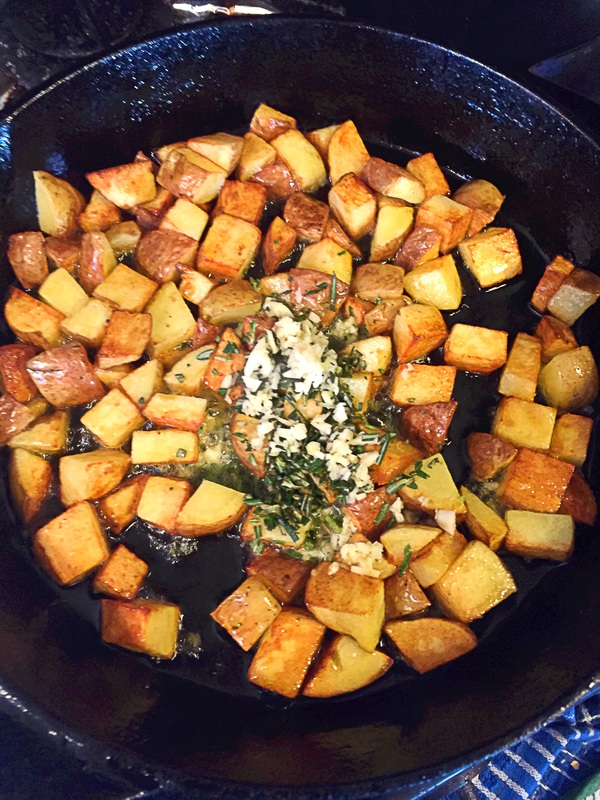 The fresh rosemary really makes these potatoes sing! 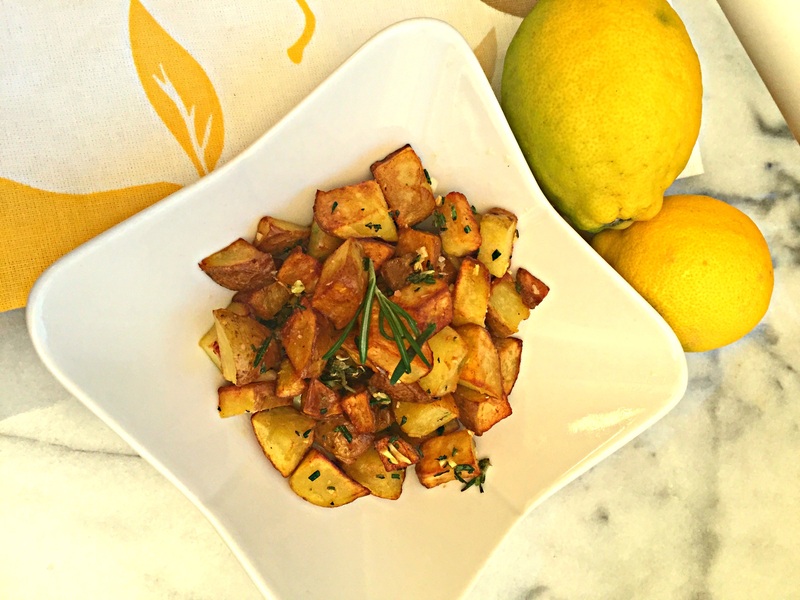 The pungent and earthy flavor of fresh rosemary paired with the lemon and garlic, make for a delicious potato dish! 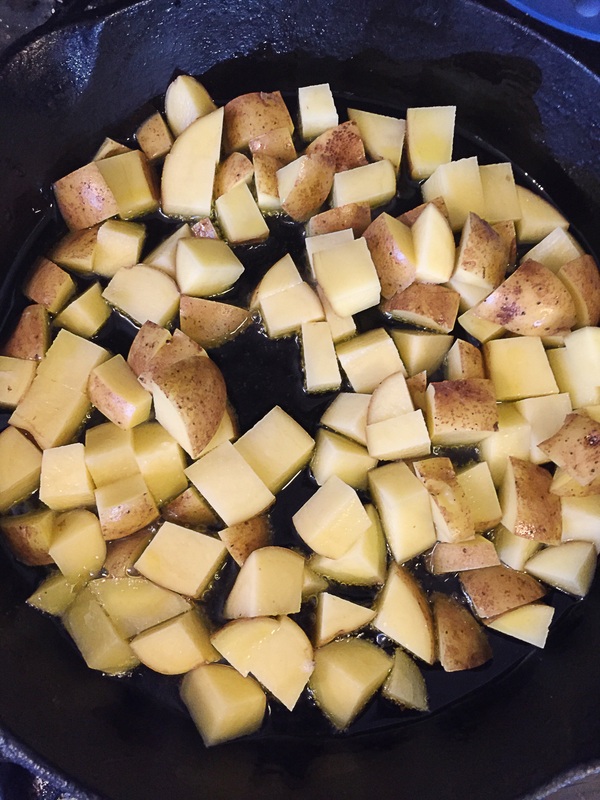 Cook potatoes until they start to brown, tip, cook for 5 minutes on one side, brown and then flip to the other side to brown. Once potatoes are brown and fork tender, add the rosemary, lemon powder, and garlic, toss for ten to twenty seconds, just until you can smell the garlic, turn the fire off. Transfer to a plate season with sea salt toss and enjoy! 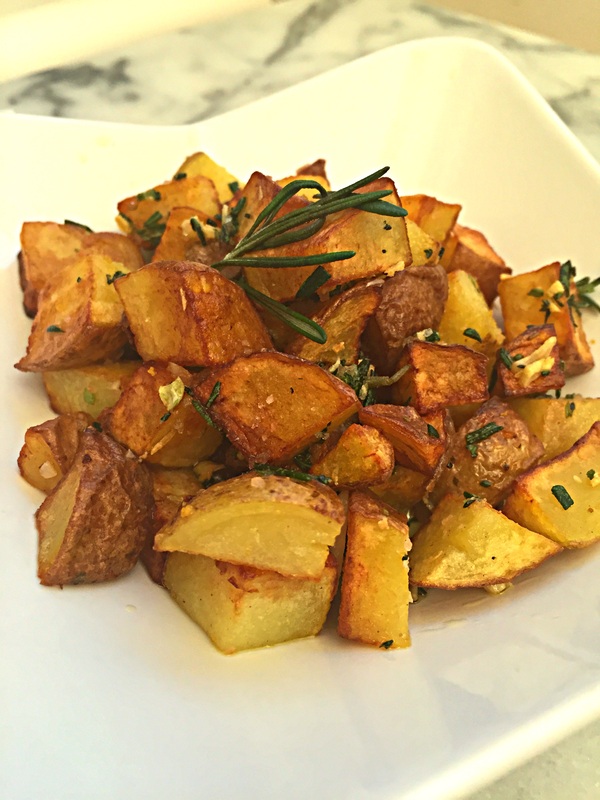 If you like these potatoes then you’ll love my recipe for Lemon and Garlic Potatoes! You might also like these Ranch Potatoes! 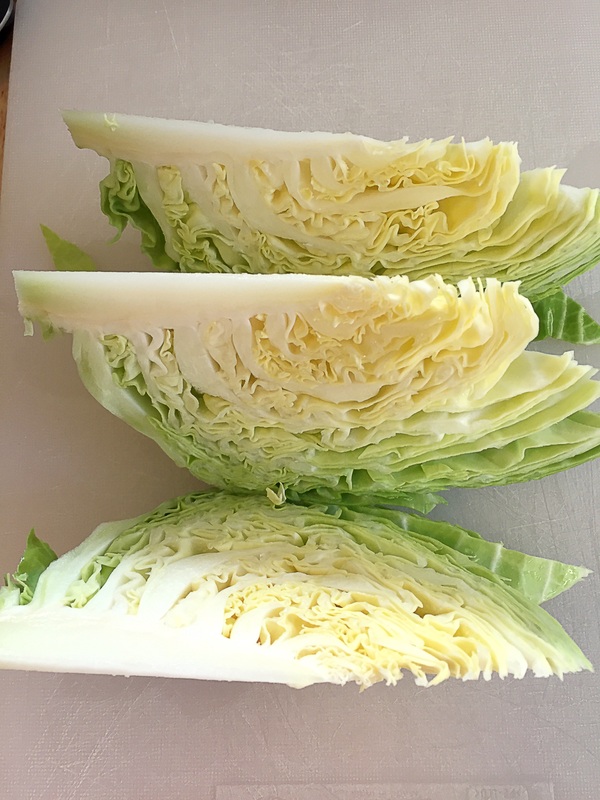 One of my favorite winter vegetables is cabbage. I love it in a hearty soup, braised in a crock on the stove, or roasted in the oven. Cabbage seems to be one of those vegetables for me that not matter how I cook it, it’s comforting in every way! 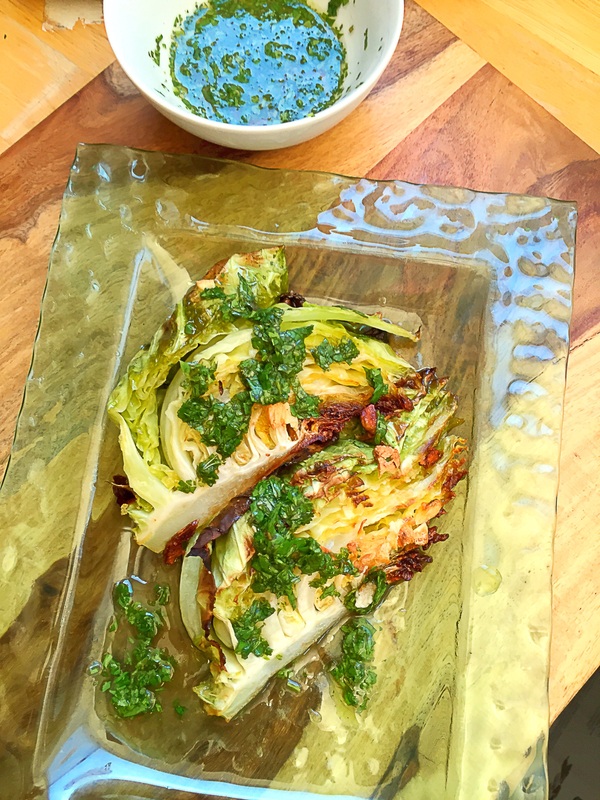 This recipe is a favorite of mine, the roasted cabbage alone is awesome, but the vinaigrette really takes it to another level! 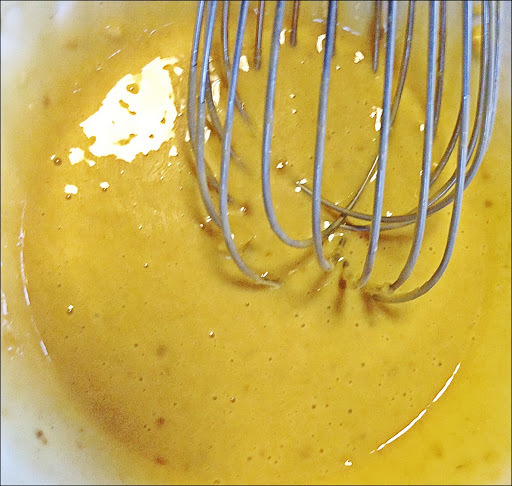 Directions: Add the ingredients for the vinaigrette to a bowl, mix well and set aside. 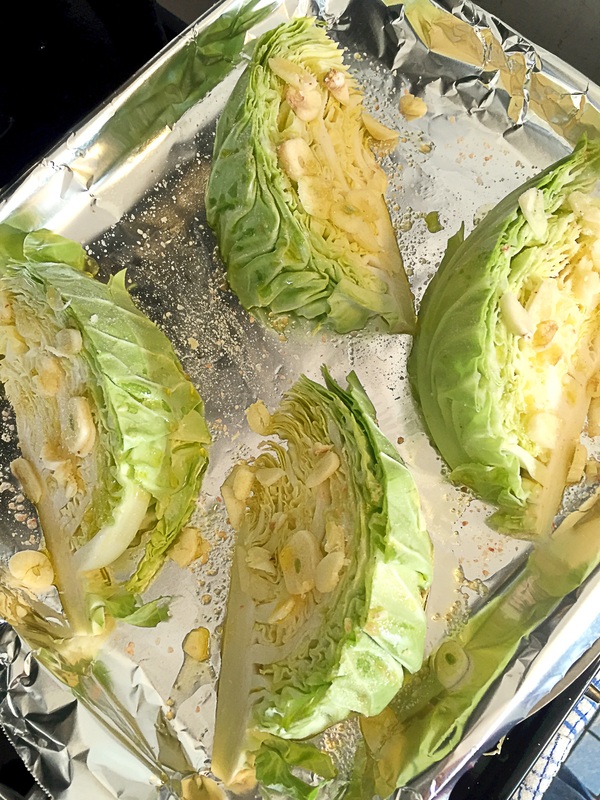 Add the cabbage to a foil lined bake sheet, then drizzle with oil and season with sea salt and black pepper on both sides. Lastly top with sliced garlic, and place in the oven. Cook for 10-15 and cabbage takes on some color. 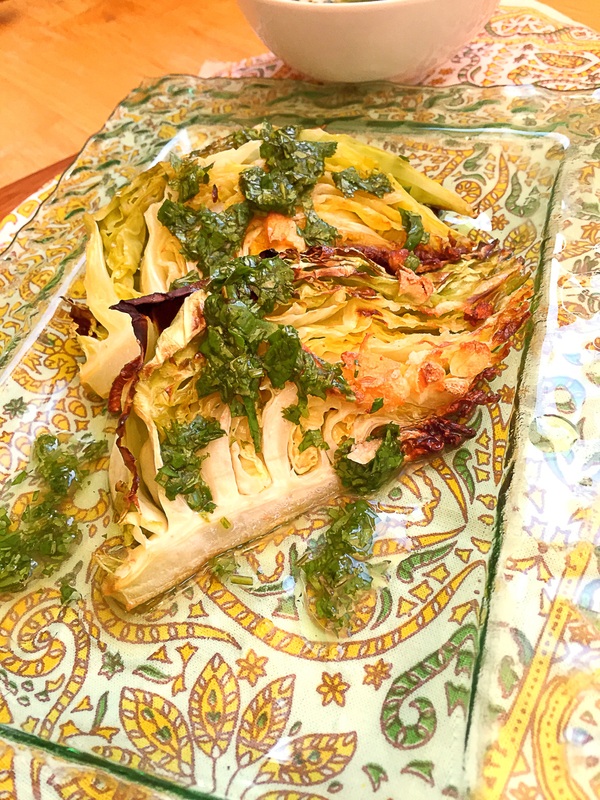 Remove from oven, drizzle each wedge with some of the vinaigrette, serve and enjoy! If you like this recipe check out my recipes for Indian Spiced Cabbage and Ground Chicken and Cabbage Curry!